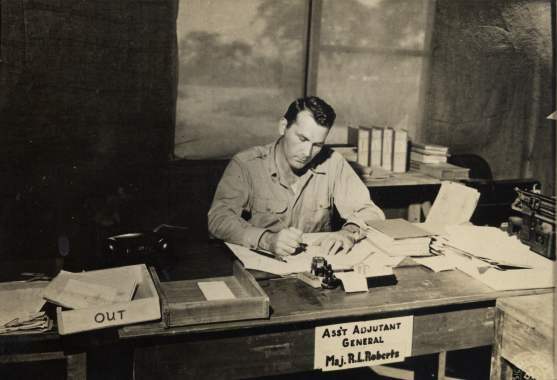 During World War II Major Ralph L. Roberts served as Assistant Adjutant General to General Joseph W. Stilwell. There are currently some pictures of him during this time in the Picture Archive. "March 1941, I volunteered for the draft to "get my year out of the way." Pearl Harbor stretched this to five years, with Officer Candidate School, other army tours, culminating in a three month crash course with General Marshall preparing me for appointment as Personnel Officer for General Stilwell’s Combat Command in Burma – China." More information coming as we get time.